On the night of February 8th, 1968, officers of the law opened fire on protesting students on the campus of South Carolina State College at Orangeburg. When the shooting stopped, three young men were dead and twenty-seven other students, male and female, were seriously wounded. What had begun as an attempt by peaceful young people to use the facilities of a local bowling alley had become a violent confrontation between aroused students and the coercive power of the state. 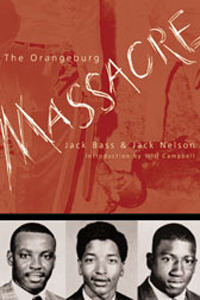 This tragedy was the first of its kind on any American college campus and became known as the Orangeburg Massacre. When gunfire felled students again two years later at Kent State University in Ohio, banner headlines carried the news to every corner of the globe. But the Orangeburg tragedy prompted little news coverage in national media, and most of that was superficial and distorted. The victims at Kent State were white students protesting an unpopular war. At Orangeburg, the dead and wounded were black students seeking equal treatmewnt and opprtunity. Most reporters were willing to accept without question the “official version” peddled by state and federal authorities on the scene. The students, parents, the president of the college, and members of the faculty had a different story to tell, but no one wanted to hear.